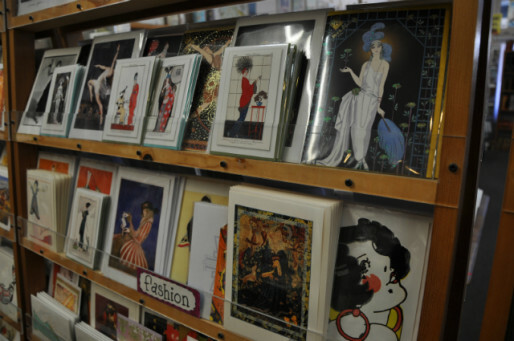 Our note cards range in price from $1.25 postcards to $20 for an artist’s handmade card. 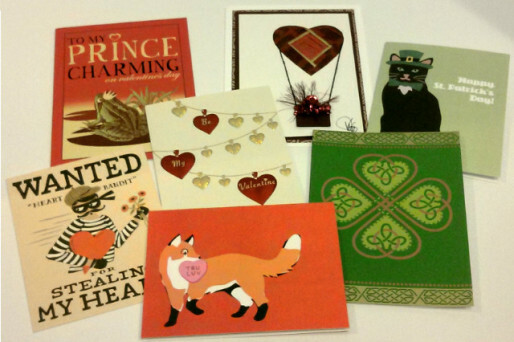 Included in that range are cards that are printed, silk-screened, letterpress, embellished, and embossed. 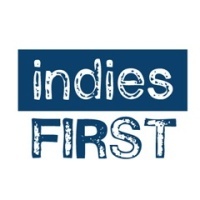 Many of the card lines we carry are from local and independent artists. A variety of very special cards can be found with both the greeted and the blank cards. These include fine handcrafted cards from the Constance Kay collections, die-cut SF skyline cards, and foil stamped and embossed cards by Paula Skene Designs. 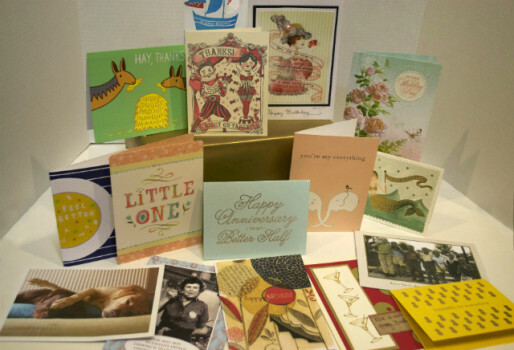 These cards are a beautiful gift of their own for a thank-you, birthday or special occasion. Need a card for a special occasion? In our greeting card sections, you will find Birthday, Anniversary, Wedding, New Baby, Congratulations, New Home, Get Well, Sympathy and Thinking of You. Or you may find the perfect image for the person or occasion in our blank card sections…archery, jellyfish, gnomes, saxophones, &c.
If you send cards frequently, our tables of boxed note cards are not to be missed. 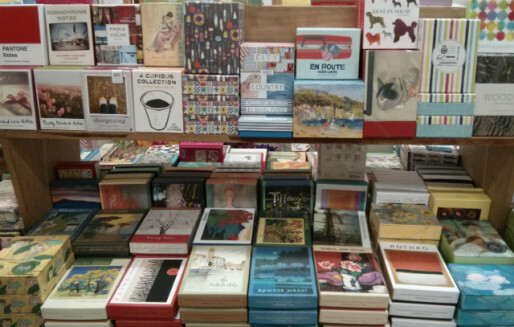 On the antique lawyers’ bookcase, we offer the largest selection of boxed thank-you cards in San Francisco. Boxed blank cards, correspondence cards and stationery are displayed around on tables. 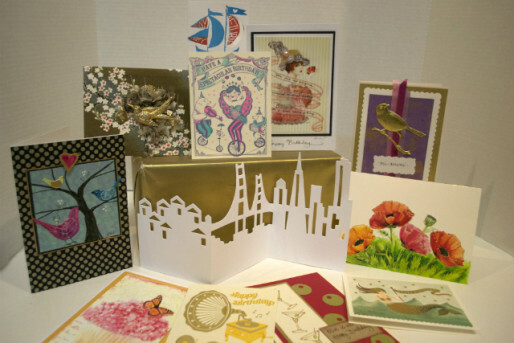 Don’t miss our collection of San Francisco cards, single and boxed. We will remind you of all the seasonal occasions to celebrate with a card. Through-out the year we provide cards for the big occasions: Valentine’s, Mom and Dad’s, and Graduation Days. We also remember St. Pat’s, Passover and Easter and even have cards for the 4th of July. Come fall, we offer Jewish New Year, Halloween and Thanksgiving cards.